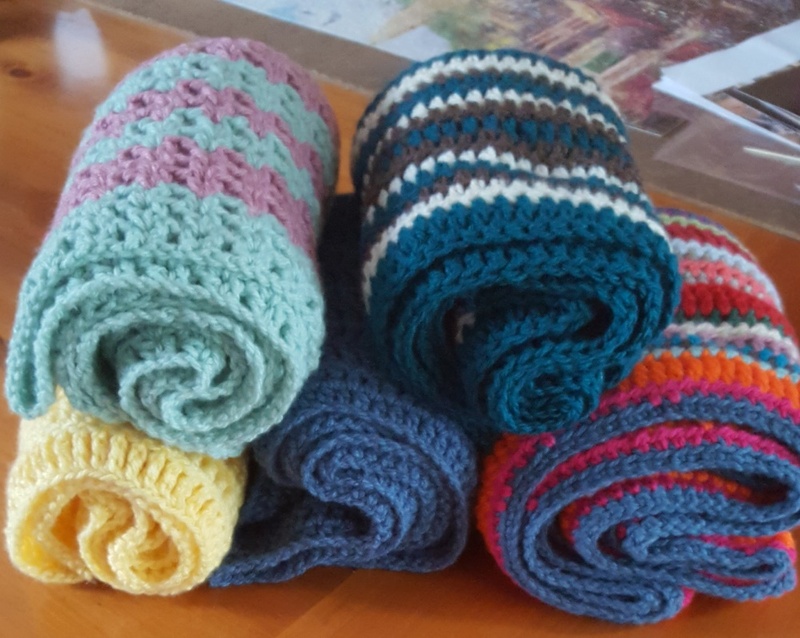 67blankets for Nelson Mandela are again going for a world record in July this year – the longest crocheted scarf. 27km is the target length. As we commence our centenary celebrations we have asked each class to celebrate what would have been Nelson Mandela’s 100th birthday as well by crocheting 100 scarves. Scarves need to be crocheted; with double knitting wool and a hook no bigger than a size 6.5. Scarves should measure 20cm wide and be either 1.5m or 2m long. They should not be adorned with tassles. We will be displaying all the scarves made on 20 June 2018 and then will hand them over to 67blankets on 25 June. The record attempt will be held on 29 July at the Nelson Mandela Capture site in Howick Natal. Wool is available from Mrs Heming at R15 a ball. Help us to make our 3000 scarves for Nelson Mandela Day! Wonderful coloured scarves are starting to come in from the girls in all shapes and sizes. Please note that scarves must be 20cm wide and either 1.5 m or 2 m long!